Deborah Schwinger received a $24,300 tax refund last year after adopting two children, Matthew (left) and Lizzy (middle). But getting the money from the IRS wasn't easy. NEW YORK (CNNMoney) -- An adoption tax credit that brought huge refunds to many unsuspecting families last year is back. Taxpayers can claim up to $13,360 for each child they have adopted in the past six years on their 2011 tax returns this year -- an increase of $190 from last year. The credit has been around since 1997, but up until the 2010 tax year, it was always a non-refundable credit -- meaning it would offset any taxes owed, and anything that remained was carried over to the next tax year. President Obama's Affordable Care Act of 2010 made the credit refundable so the money would go directly into the taxpayer's pocket rather than being applied to future taxes owed. But, unless Congress extends the credit by the end of this year, the 2011 tax year will be the last year that taxpayers can cash in on the credit. A 'godsend': The newly refundable credit has been especially helpful for families adopting "special needs" children. While families adopting children who do not qualify as special needs are typically eligible to get a refund for their adoption expenses, families adopting kids who do qualify can get the entire $13,360 refund no matter how much they paid to adopt a child -- even if they had no expenses. Generally, a child with special needs is someone who the state determines wouldn't be adopted without its assistance. Special needs qualifications vary by state and are determined by such factors as medical or physical impairments, genetic conditions, minority status, number of siblings or age. Deborah Schwinger, from Hamburg, Pa. received a $24,300 refund last year thanks to the adoption tax credit. In 2009, she adopted Matthew and Lizzy. The children, who had moved between foster homes, have speech problems and a "long list of behavioral problems" after being severely neglected by their birth mom, Schwinger said. "The money was a godsend," she said. "The kids got new bikes from Walmart and I got a grill, I set up [bank] accounts for the children, I'm working to get us a bigger house, I no longer live paycheck-to-paycheck and have little debt. We have everything we need and we get a few things we want." Other families received even bigger windfalls. The Wards,a family of 12 from North Carolina, received a $54,000 refund last year. Going into the tax season, the Wards said they were completely unaware of the credit. In fact, they thought they would owe money. Watch out! : Since this is the biggest refundable tax credit available, the IRS isn't going to give it out to just anyone. Taxpayers seeking the credit should expect long waits and the possibility of an audit, said Amy Miller, director of the Tax Institute of H&R Block. Schwinger said she had to send in her paperwork twice last year. After a number of fruitless phone calls to the IRS, she was told that no more information was required, and to wait 45 days for her refund. After 45 days, she was told she needed to send in additional documents. It wasn't until June -- about four months after she filed her taxes -- that she finally received her full refund. She wasn't alone. In a report examining how the IRS handled adoption tax credit claims last year, the Government Accountability Office found that there were "considerable" delays due to the high level of audits the agency conducted. The GAO said 68% of the nearly 100,000 returns claiming adoption tax credits were audited last year, but the IRS only ended up requiring those taxpayers to pay more in taxes about 17% of the time. 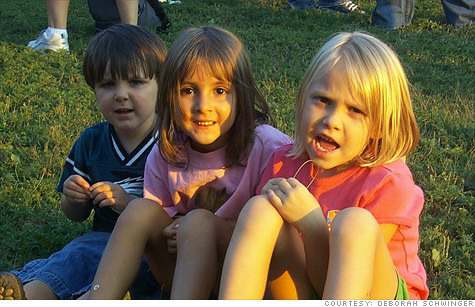 In all, $1.2 billion in adoption tax credits were claimed last year, the GAO found. Many taxpayers received the portion of their tax refund that didn't include the adoption tax credit while they waited. Schwinger, for example, received $4,350 of her refund in March that was separate from the adoption tax credit. She didn't receive the money she was owed from the adoption credit until about four months later. The IRS acknowledged the delays, and said it has updated the information on its website this year so that the required documentation is easier for taxpayers to understand. Typically, it should take three weeks for taxpayers to receive a refund if a complete and accurate paper return is submitted and correct documentation is attached. But if the IRS doesn't receive the right documentation, it will spend extra time ensuring that the claim isn't fraudulent, said IRS spokesman Terry Lemons. "When you have a credit of this size it's really important for us to make sure we have the documentation so we get it only to the people who qualify," he said. Given the huge amounts of money being claimed, Miller said that even if everything is submitted correctly, taxpayers claiming this credit will likely have to wait a couple of months or more to receive their refunds. What to know: To make sure you get your refund as quickly as possible, check the IRS website for a list of all necessary documentation. Taxpayers are required to submit a paper return when claiming this credit. Special needs adoptions that qualify for the full $13,360 credit, regardless of expense, must occur within the United States. Those who adopt children overseas may only claim qualifying expenses. Also, the refund phases out for taxpayers making more than $185,210, and families with income of more than $225,210 aren't eligible for the credit. "It's a great credit if you qualify, but there are certainly hoops you have to jump through and you have to dot all your 'i's and cross your 't's in terms of documentation," said James Toto, CPA and partner at accounting firm WeiserMazars. But while waiting was grueling at the time, Schwinger said she is just thankful that the adoption of special needs children is being encouraged. "There are so many children in the system that need families," said Schwinger. "I think many families do not adopt because they can't afford the costs. There is help for them." An earlier version of this story stated that taxpayers must claim domestic adoptions in order to qualify for this credit. In fact, taxpayers may also claim international adoptions. However, they may not qualify for the full $13,360 refund.